Daniel Boone is regarded as the first real American folk hero. Without his cunning bravery, settlement west of the Appalachians may not have been made possible for years. Boone’s Wilderness Road, which is still used today, helped bridge the Cumberland Gap, granting access to the state of Kentucky from Pennsylvania. Thanks to the writing of John S. C. Abbot, the life and genius of Boone can truly be appreciated through Daniel Boone: The Pioneer of Kentucky. Find out just how Boone crafted his Wilderness Trail, what he did to make it happen, and how he overcame the struggles of life in late eighteenth century America. Daniel Boone lived a modest life in his later years, settling down in St. Louis, where he managed land for the rest of his life. 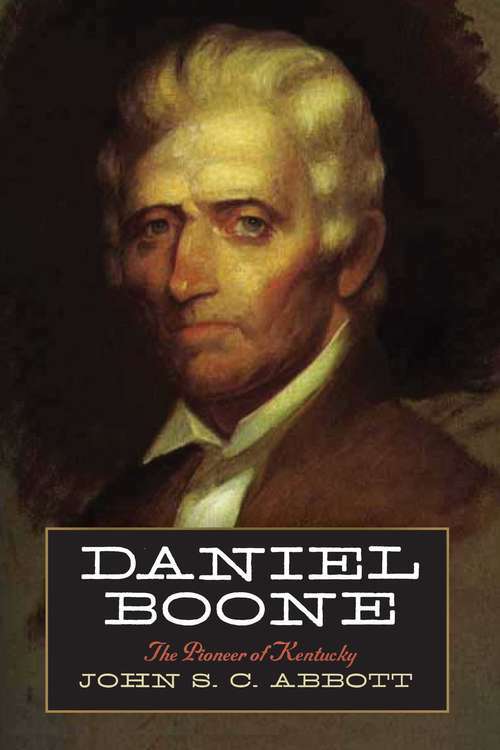 If it were not for Abbott’s book, the real story of Daniel Boone may never have been told. Skyhorse Publishing, as well as our Arcade imprint, are proud to publish a broad range of books for readers interested in history--books about World War II, the Third Reich, Hitler and his henchmen, the JFK assassination, conspiracies, the American Civil War, the American Revolution, gladiators, Vikings, ancient Rome, medieval times, the old West, and much more.